All Keurig k-cup Brewing systems. Keurig 2.0 Brewing System. NOT COMPATIBLE WITH KEURIG VUE. Mr Coffee Single Serve Coffee Maker. YOUR NUMBER 1 SOURCE FOR COFFEE, TEA & MORE. 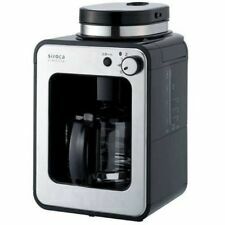 ICoffee Single Serve Coffee Maker. This coffee has a very nice strong flavor and is similar to the coffee you buy for much more at your local Starbucks. It is great black, as I drink it, and is also very good if you add cream and/or sugar. The pronounced taste comes through even when it has additives in it. It's one of my favorites when I drink regular coffee, which is not that often because I drink decaf mostly. It's great tasting coffee. I simply love Sumatra coffee! I look forward to my Sumatra cup of coffee every day! My family and friends come to my house daily to enjoy this wonderful coffee. We absolutely, without a doubt, love this coffee! The only coffee I drink! It is rich, fullbodied and not bitter! Thai sell has a good price! GREATEST CUP OF COFFEE EVER! Hands down ....... this is my favorite coffee of all tine. It's full flavor at its best, and so consistent, I know each cup will be excellent to the last drop!